(Honolulu, HI)— Minori Craft Japanese Tavern will officially open for business on Friday, February 1, 2019. Located at the former Tsukada Nojo space along Kalakaua Avenue (near the Hawaii Convention Center), the Japanese izakaya (tavern) is sure to be a hit with locals, convention-goers, and visitors. AP Company is the parent company of several restaurants located throughout the United States including Irvine, Los Angeles, New York City, and a ramen concept in San Francisco. Starting Friday, February 1, through Sunday, February 3, Minori Craft Japanese Tavern will offer $10 gift cards to the first 50 people in for dinner each day. Guests should also take a close look at the chopstick sleeve: the slips of paper double as an omikuji fortune ranging from Super Lucky, Lucky, to A Little Lucky. Customers are encouraged to bring back the slips of paper in exchange for the lucky item listed. To keep the celebratory atmosphere going, the restaurant will also do raffle prizes and feature DJ MatchaLime as the opening act for Minori’s rotating schedule of live DJs. The restaurant will be open for lunch from 11:00 AM – 3:00 PM daily; they will offer bento takeout options for lunch as well. Sunday through Thursday, the restaurant will be open for dinner from 5:00 PM – 12:00 AM, and open till 2:00 AM on Friday and Saturday. Friday and Saturday nights will also feature live DJ music. Happy Hour times are 5:00 – 6:00 PM, and 10:00 PM – 12:00 AM, daily; late night Happy Hour extends till 2:00 AM on Friday and Saturday nights. Walk-ins without reservations are welcome. Minori will offer Japanese izakaya-style fare such as chawanmushi (savory egg custard), sashimi, tempura, as well as a variety of charcoal-grilled options. There are also a range of creatively named menu items such as the “Meli Melo Chicken” (flambé-style chicken), “Japonica Roll” (sushi), and “Kale Namuru” (Korean-style marinated kale). 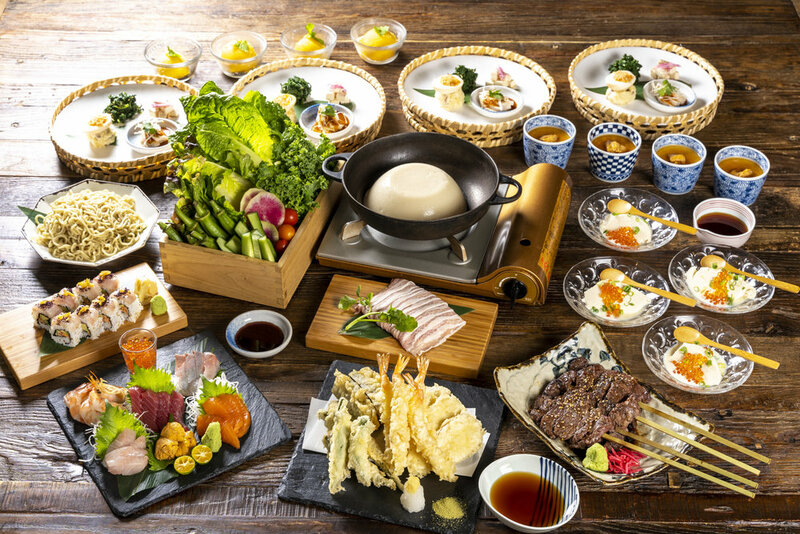 For Tsukada Nojo fans, there’s also good news: Minori will continue to offer the “Beautifying Hot Pot” that won a Hale Aina award for Best Hot Pot, along with their popular White Bear and Matcha (green tea) Flan desserts. Restaurant & CaféIria Kawabata February 5, 2019 Deck.